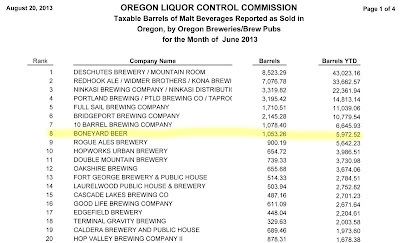 If you go back a few years and look at Oregon's craft beer landscape, you likely would not have picked Boneyard Beer to become a power. I mean, the visual allure of the brand and the rather small brewing space were not exactly obvious signs of future success. Yet here we are. I visited Boneyard a few weeks ago, as I usually do when I'm in Central Oregon. The small tasting room and brewery have the kind of spartan charm you have to respect when on beer safari. There was a constant flow of beer fans visiting that day. Good beer does that, regardless of the surroundings. 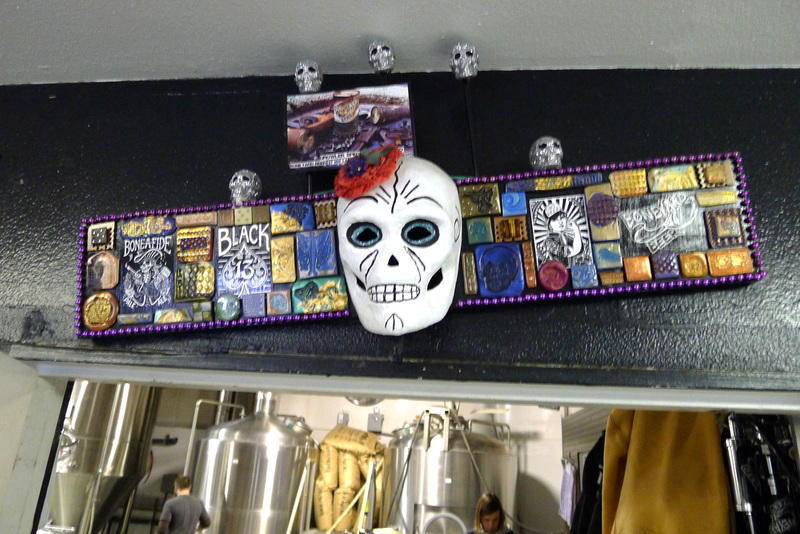 The reality is, Boneyard maxed out the available space in its brewery long ago. They have shoehorned in some large (60 bbl) fermenters to increase production, but it isn't enough. Plans to bottle or can have taken a backseat to keeping draft channels supplied. New draft accounts are on hold. I had hoped to speak to co-founder/beerologist Tony Lawrence during my visit. He was ever-present on previous visits, but nowhere in sight this time. Fortunately, Ezra (The New School) spoke to him recently about Boneyard's future plans. His illuminating article is here. 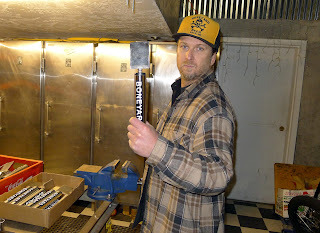 Many of us figured Boneyard would have a production brewery by now. In late 2011, Lawrence told me he expected to have a production facility by summer 2012. Didn't happen. When I spoke to him on Labor Day weekend 2012, he thought he would have a production facility by summer 2013. No such luck. Thanks to Ezra's story, we now know Lawrence expects to have a vastly larger brewing facility by early 2014. Excuse me if I don't hold my breath while this comes to fruition. There are an almost unlimited number of reasons why the new place might be delayed. But never mind. You really have to be impressed with what Lawrence and his team have done at Boneyard. They have built an empire strictly on draft beer. 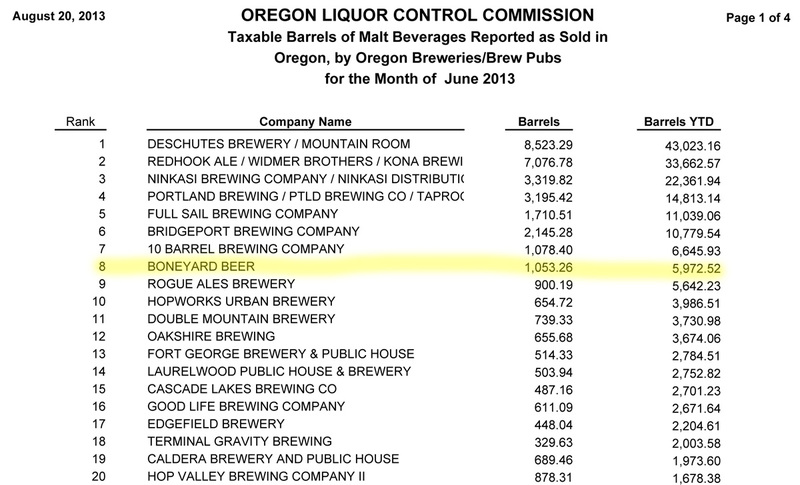 Boneyard occupies #8 on the list of top Oregon breweries (taxable barrels produced) for June (these lists are typically a couple of months behind). 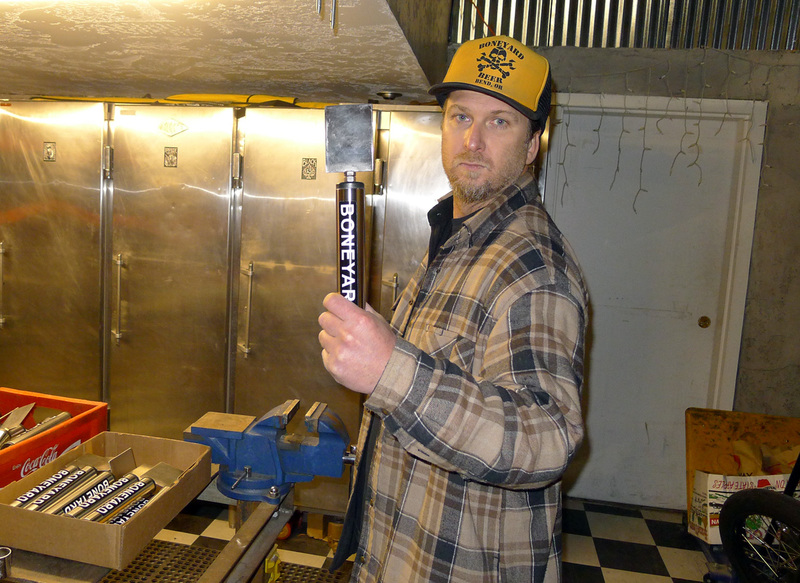 Of the top 10 breweries, Boneyard is the only one that does not distribute in a bottle or can. That is a significant stat. Boneyard's success harkens back to the early days of craft brewing in Oregon, when the original breweries were selling draft beer alone. Botting wasn't part of anyone's plan. It was only after Full Sail demonstrated that bottles could be an effective distribution model that other breweries followed. The fact that underdog Boneyard has come so far, so fast without a retail presence makes you wonder what they'll do once their capacity is dramatically expanded. There is so much pent-up demand for their beer that they will surely challenge for a spot in the top five almost immediately. After that, where they go likely depends on successful distribution outside Oregon.